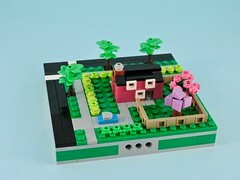 This charming little set caught my eye on a recent visit to the Lego store. 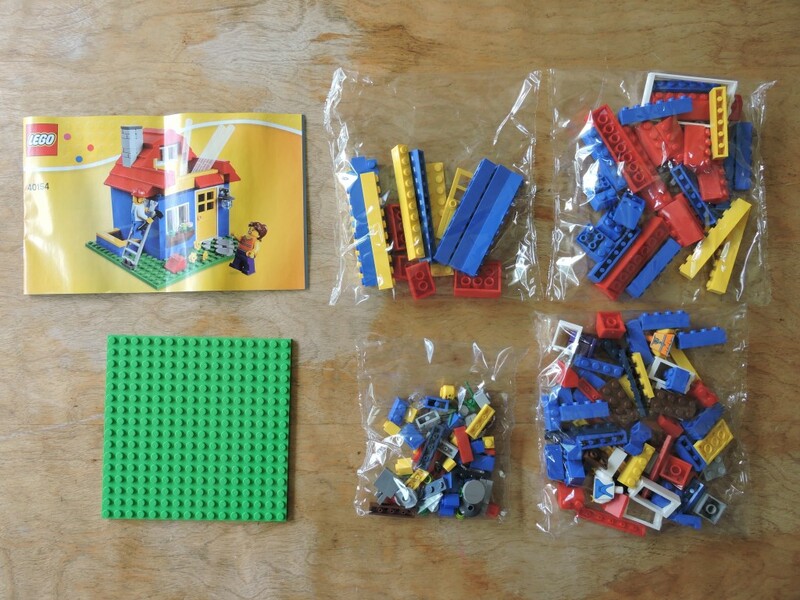 I’m always on the lookout for parts packs, and this one looked to have a nice mix of ‘city’ elements and a good price per piece ratio. Inside I was surprised to find so many bags of elements in a $15 set. I’m always happy to get another 16×16 plate, but look at all those long bricks and slopes! 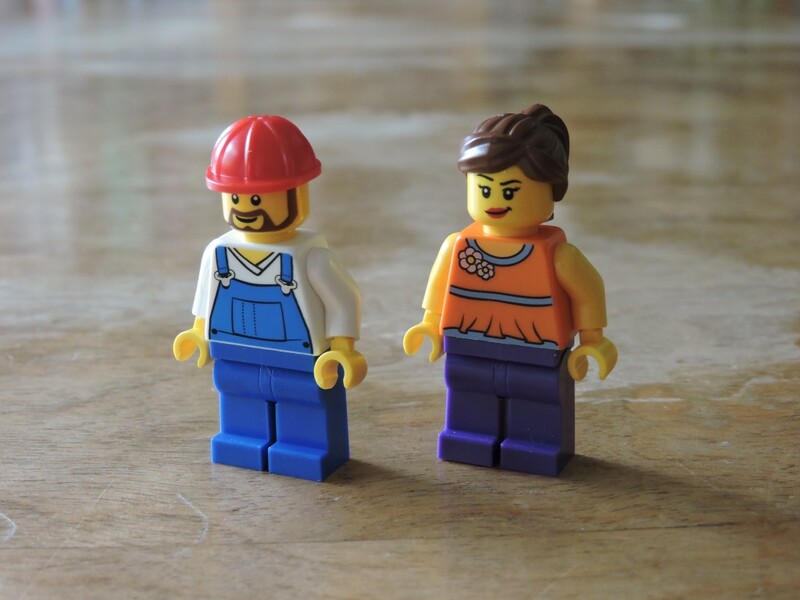 The set included two minifigs: a woman (presumably the homeowner) and a fix-it guy. 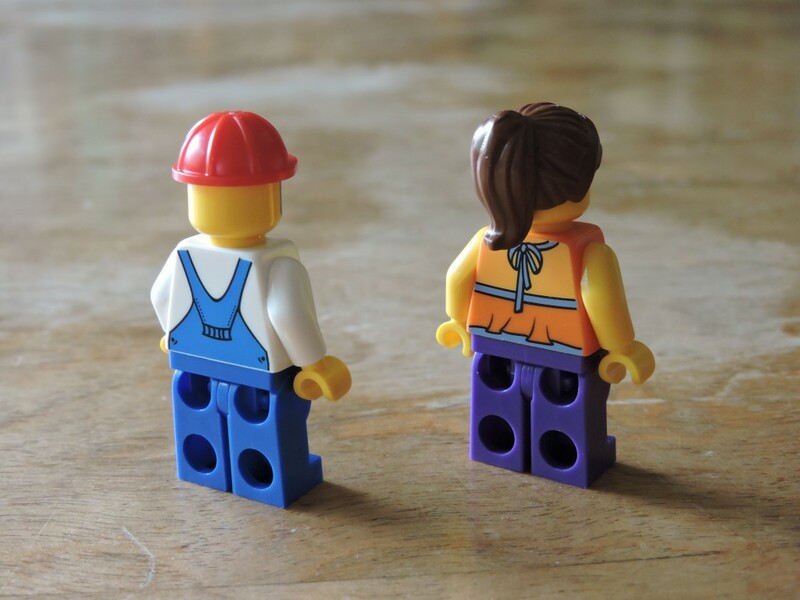 Though neither of them are particularly special, they are well detailed, with front and back torso printing. 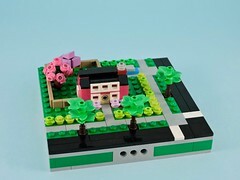 Fine additions to any builder’s stock of town extras. 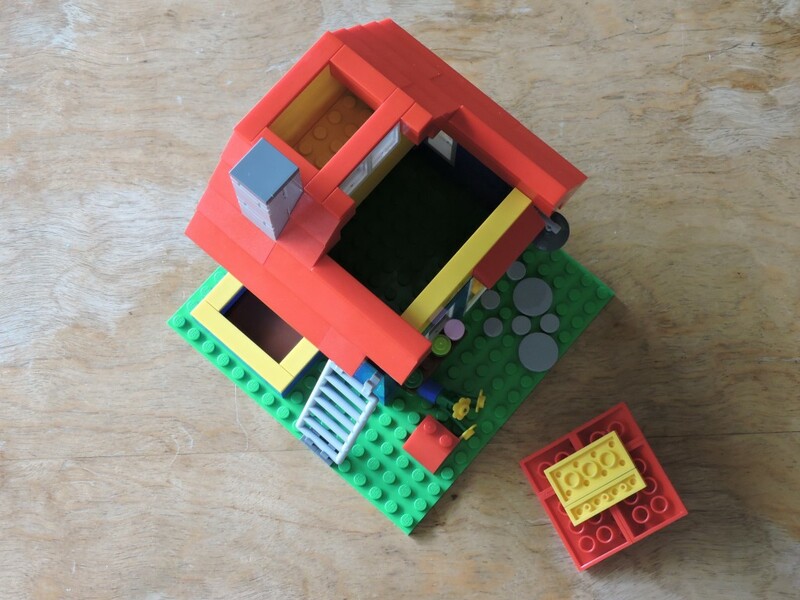 The completed model is a handsome little house with compartments for pencils and other accoutrements. 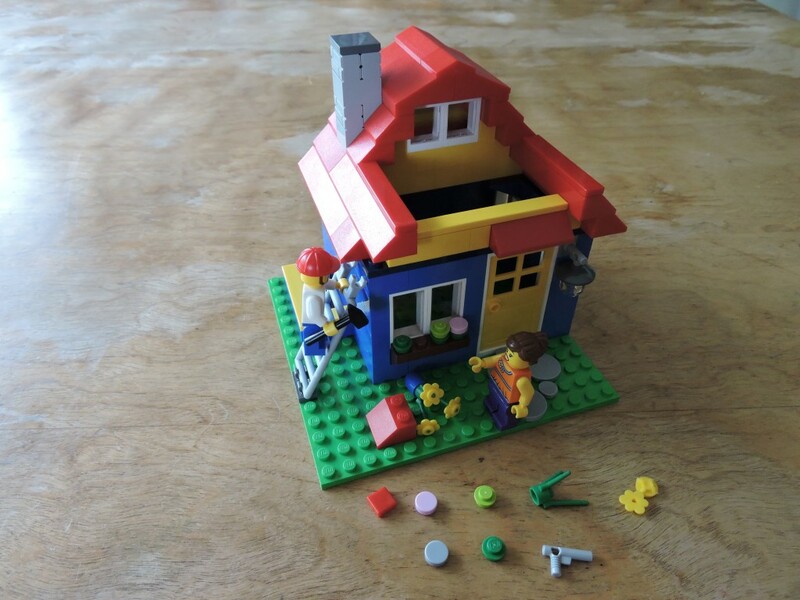 Built according to the instructions, the house has a bit of broken roof, presumably knocked off by the workman. Obviously it would only take a minor adjustment to fix the roof and remove the workman entirely. One of my few complaints about this set is the lack of an interior wall to define the pen compartment. The house is hollow, but the opening for pens is only about half the size of the base. This means that pens could wind up at all kinds of odd angles and that shorter ones might even fall down inside. If I was going to keep mine as a pen pot, I would build an interior divider. All in all, a nice little model that would make a handsome desk accessory for any FOL. 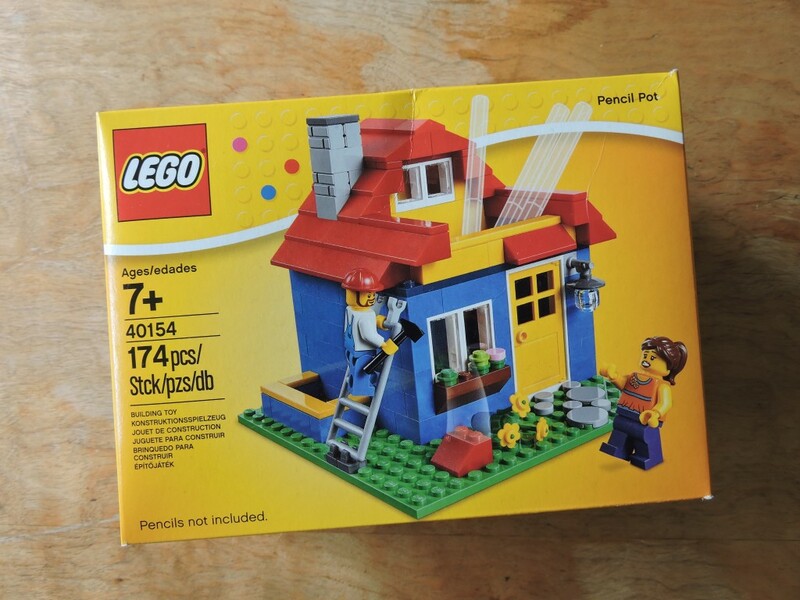 Alternatively, the set is a fine parts pack with useful windows, a door, roofing and a selection of longer bricks. All suitable for city builders. Pick this one up, it’s a winner.